Hi! 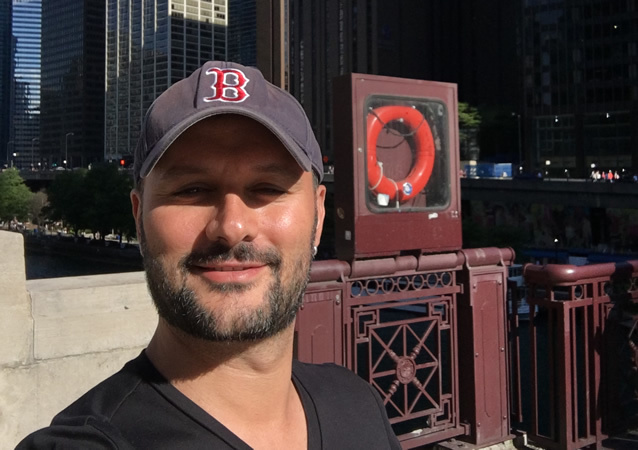 I'm Alper Kucukural, Co-director of Bioinformatics Core at UMMS Biocore, and Assistant Professor at University of Massachusetts Medical School. I build tools and softwares to make the life of the scientists easier, and fun. I teach in person in workshops and conferences, give consultancy from time-to-time; send an email for more details. DolphinNext: A graphical user interface for distributed data processing of high throughput genomics. DEBrowser: Interactive differential expression analysis and visualization tool for count data. Most of my work is in the form of open source code, which you can find on github. DolphinNext for data processing and analysis. Programmed on GNU/Linux, Solaris, Windows 9x/NT/XP/2000, MacOS. Good understanding of common network protocols. Designed and realized interfaces with QT on Linux. Visual Basic, VC++, ASP, .Net on Windows Environment. Galaxy installation, maintenance and extension development for galaxy, UCSC genome browser mirror installation, multiple mirror installation, extension development, new track preperation for local deep sequencing libraries(bed, bam, sam, wig and other formats). Bowtie, BWA alignment programs and BEDTools, SAMTools, RSEM, Sailfish, Tophat etc. MPICH2 and OpenMPI libraries with C and C++. Developing bioinformatics software and workflows to analyze for next-generation sequencing data. Developing parallel applications that work on Clusters (HPC). Web based applications using PHP, Java, JSP with C++(JNI). Developing database-related applications with C++, Java, C# (.Net environment); Oracle, MySQL, PostgreSQL, Microsoft SQL Server. Developing iOS based applications for iPad and iPhone. Learning about nature itself can open many surprising doors to develop new technologies in life sciences. Experience and know-how have a crucial role in making new discoveries. I have chosen to improve myself in both academic and professional areas to gain the necessary experience to turn research into projects. I have started learning pure mathematics as a discipline and a language of nature. Theoretically solved problems can not be turned into applications without engineering skills. Therefore, I earned my bachelor degree in mathematics engineering and a master's degree in systems analysis. The combination of theories in computer science, mathematics, statistics and modeling could be applied on a particular area; life sciences. Molecular biologists and geneticists started producing a vast amount of data in the last decade. Respectively, I decided to work on my PhD in Biological Sciences and Bioengineering to learn the language of life scientists and solve the problems using computational methods. ON one side, I have experience in protein structure characterization and prediction, as well as applications of genetic algorithms in computational biology. My research over the past few years has focused on protein structure analysis using techniques from graph theory. I also implemented the theories from computer sciences to biology to find solutions in drug design and small molecular docking fields. On the other side, RNAs and small RNAs started becoming the most critical area to work on producing new methods to cure many diseases. I have started working on analyzing deep sequencing data to discover key elements of splicing of pre-mRNAs to shed more light on post-transcriptional regulations of RNAs. Moreover, analyzing RNA targets of Tdp43 with deep sequencing on Rat and THE human was another focus of my research to understand the mechanisms of neuro-degenerative diseases such as Alzheimer and ALS.